Tonight’s Golden Globes could see a number of Irish winners. 2016 COULD BE a banner year for Irish film, with four Irish people (and another from the TV world) in the running to take home a gong from tonight’s Golden Globes. 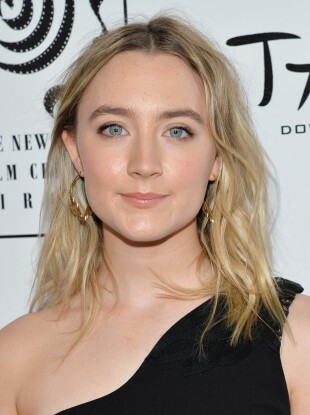 Saoirse Ronan and Michael Fassbender have been nominated in the acting categories for their roles in Brooklyn and Steve Jobs respectively; writer Emma Donoghue has been nominated for Best Screenplay for Room, which is an adaptation of her novel; Room (which is directed by Lenny Abrahamson) is nominated for Best Motion Picture (Drama) while its star Brie Larson is up for Best Actress in a Motion Picture (Drama); and Irish actress Caitriona Balfe has been nominated for Best Actress in a Television Series (Drama) for her role in Outlander. Then there are the forthcoming Oscar nominations on 14 January, which are anticipated to also have the Irish flag flying high, with Room and Brooklyn also expected to get the nod. The most-talked about Irish film of the new year is Room, which is about a young boy who lives with his kidnapped mother in a shed. It’s set for release on 15 January. Another anticipated movie is Viva, written by Mark O’Halloran and directed by Paddy Breathnach, which is Ireland’s official selection for consideration for the Best Foreign Language Picture at this year’s Oscars. Viva – which is about a young man and his quest to become a drag performer – is unusual in that it’s an Irish film set in Cuba, and told through Spanish. To have it associated with the Oscars is a huge boon for all the team, who made the film on a low budget. “It’s one of those things that it places the film on an international stage and it gives it a chance to have a life and be seen, and that’s what you want most of all for your film,” said its director Paddy Breathnach, who was also the director behind I Went Down. For better or worse, you put the word ‘Oscar’ in relation to your film and suddenly everybody pays attention. Making Viva in Cuba – and in Spanish – was a challenge in some ways, but also a return for him to the filmmaking he started out doing. “In a way, it felt like I was making my first film,” said Breathnach. After the success of I Went Down, Breathnach said he was “the great white hope for a couple of years”, taking on the mantle from the likes of Jim Sheridan and Neil Jordan. “Then you make a different film that people don’t like as much, and you go from being genius to dunce for a while. Then someone else comes along and they take the mantle over,” said Breathnach. How this has changed, indicates Breathnach, is that now there is more glory to go round. That means there’s room for directors like John Carney, Lenny Abrahamson, Rebecca Daly and Dearbhla Walsh – to name just four – to hold onto that mantle. Notably, when Breathnach’s first short film was selected for the Cork Film Festival in 1991, so was Lenny Abrahamson’s short film debut. “Now there’s a chance we’ll be both be in the Kodak building and in there for that moment [for the Oscars],” said Breathnach, pointing out that they’re part of the first generation of Irish filmmakers since the reintroduction of the Irish Film Board. That reintroduction came about after the success of My Left Foot and its two Oscars. Grainne Humphreys, director of the Audi Dublin International Film Festival (ADIFF), which runs from 18 – 28 February, remembers well when My Left Foot won. It gave a push to both new and existing filmmakers, “a sense that making films at home was possible; that you didn’t have to leave to get success”. That translated into a new sense of confidence. People in the industry were no longer looking for scraps from the awards table. “You can name 10 or 12 very good [Irish] directors that are mixing in international terrain now,” said Breathnach. And that’s something that is new and I think it’s a sign of maturity that’s evolved in the industry over the last few years. “It’s in a funny way like the tide has come in. It’s not just individual moments, it’s like there’s a broader feeling of movement,” said Breathnach, describing the current crop of films as a culmination of years of work, experience and learning. Whether Viva gets the Oscar nomination or not, it still puts the team on Hollywood’s radar. But Breathnach has a keen sense of not letting a golden statuette determine how he does his work, particularly given that he has to take his family into account. Unlike other European cinema industries, Ireland has a solid foothold in Hollywood – and the fact we share a language with Hollywood certainly helps. Humphreys has watched as confidence has grown in the Irish industry. If you look at a film like Room and Brooklyn, Room is an international film made with key and crucial Irish talent. And it has the power to allow the writer of the book to adapt her own book, it wasn’t ‘Hollywoodised’. They didn’t feel they needed Angelina Jolie, and [they felt] they could shoot in Canada, they could do what they wanted to do to make it authentic. Then there is Brooklyn, “a film that’s all about people leaving Ireland but being happy to live somewhere else”. Viva, set in Cuba, “is a long way from Enniscorthy”. “You can’t even expect an Irish film to have Irish actors [or] to deal with a particular subject – it can literally go anywhere,” said Humphreys. Viva is set to close the ADIFF festival on Sunday 28 February (in the meantime, the festival is looking for volunteers). Head of the Irish Film Board, James Hickey, said that 2015 was “a wonderful year for Irish film”. “It’s great to see Room being up there as nominated in the Golden Globes for best feature film – it’s tremendous,” said Hickey, who noted that Abrahamson has been supported by the Irish Film Board for many years. To what does he account the spectacular year? He puts it down to “a reflection of the strength and development of Irish creative talent over the years and this is that investment coming to fruition”. The IFB will soon be renamed to Screen Ireland, and is awaiting the necessary legislative changes to bring this to fruition. Hickey says the name is ”a reflection of the changed environment” for film and all forms of screen content. The IFB also works with TV dramas and animation companies. Recently, the IFB launched a six-point plan to tackle gender balance in the Irish film industry, on the heels of the Waking the Feminists movement. “This year, what’s fantastic is it does seem to be something where there are a lot of women working in film,” agreed Grainne Humphreys. But it’s not just the Oscars and Golden Globes that bode well for Irish film – people in the industry will be keeping a close eye on the Sundance film festival too, which will see seven Irish films making their debut. In addition, film-making isn’t – of course – just about the director or writer. The Golden Globes begins at 1am tomorrow morning – we’ll have the winners, and DailyEdge.ie will have the best frocks and moments from the night. Email “"It's like the tide has come in": 2016 could be a big Hollywood year for Irish film”. Feedback on “"It's like the tide has come in": 2016 could be a big Hollywood year for Irish film”.